Team Challenge Company joins the Catalyst Network bringing Catalyst team building products to Scotland. 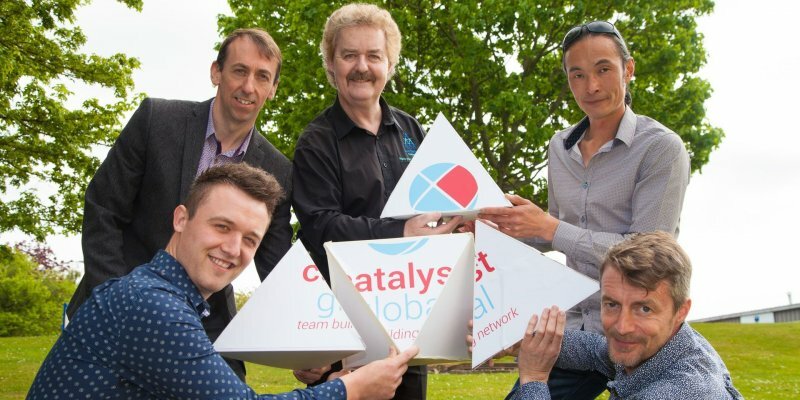 Catalyst Global are excited to announce that team Challenge Company have joined the Catalyst Network bringing Catalyst Team Building products to Scotland. Catalyst Global are excited to announce that team Challenge Company have joined the Catalyst Network bringing Catalyst Team Building products to Scotland. Team Challenge Company already delivers more than 400 high-calibre corporate events every year for many of the world's most successful organisations including BP, KPMG and Standard Life Investments. As a Catalyst Global provider, Team Challenge Company is poised to undertake an expansion strategy, targeting new sectors, including the pharmaceutical and technological industries. "We are pleased to have such a well-respected and enthusiastic team representing our products in the UK. The Catalyst Global network thrives on the collaboration and shared expertise of our partners. Team Challenge Company bring their years of experience and a unique approach to the mix, benefiting our partners and their customers globally. We look forward to a long and mutually beneficial partnership. "Guy Baker, CEO, Catalyst Global.